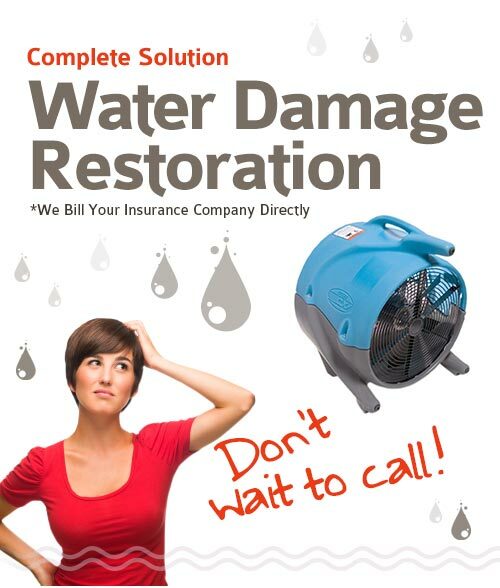 The process of water damage restoration is essentially an attempt to salvage property after a leak or a flood. The restoration process can take as little as an afternoon or several days, depending on the amount of water exposed and the time lapse in between the damage and the clean up. DC Carpet Cleaning's water damage technicians begin the process by extracting water. This is the most essential step and should be taken care of immediately. The longer water sits (any amount of water), the more the chances are of mold, mildew, and bacterial development. Water damage in basements is doubly concerning because basements are humid already. When this humidity is combined with water, the chances of mold, mildew, and bacterial development are doubled. We also treat fire and smoke damage as well. It goes without saying that DC Carpet Cleaning will work with your insurance company before and upon completion of any restoration process. Remember, when it comes to water, fire or smoke damage, there is no time to wait. After the water is removed our technicians will begin the process of salvaging property, finding hidden pockets of saturation, and sanitation/deodorization. Property salvation- items affected by the flood damage will need to be removed and inspected for mold or cross contamination. In certain cases, such as with carpets and upholstery, DC Carpet Cleaning can take care of the cleaning and sanitation. Hidden water detection and removal- flooding waters easily leak into building structures, like side beams, drywall, and wood and wreak havoc in the form of discoloration, warming, splitting, and omission of musty, mold like odors. Sanitation and deodorization- cross contamination can cause bacterial growth which can lead not only to mold and mildew growth but to various respiratory and cardiovascular health problems as well. After serious water damage everything must be thoroughly cleaned in order to bring back the premises to pre-loss conditions.